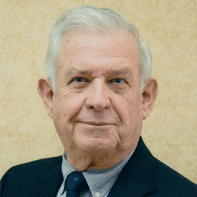 Dr. A. Wayne Tipps received his undergraduate degree from Middle Tennessee State University, his masters from George Peabody, and his doctorate from the University of Michigan. He began a successful teaching career at Springfield High School in Springfield, TN. While directing at Springfield, the band was a consistent recipient of honors and superior ratings. Dr. Tipps was later the founder and director of the Frederick College Band. Under his leadership, the band was known throughout the region as one of Virginia’s most musical ensembles. Dr. Tipps was then named orchestra director and Dean of Students at the Shenandoah Conservatory of Music in Winchester VA. In 1972, Dr. Tipps left Shenandoah for the University of Tennessee, where he became a professor of music education. While at the University, his dedication to his music education students was legendary. He was an innovator in the field of teaching instrumental music and instructional band literature. Dr. Tipps has been instrumental in the promotion of music education in the state of Tennessee. He is a past First Vice President and President of the Tennessee Bandmaster Association. In 1981, he served the East Tennessee School Band and Orchestra Association as their College Chair and the Tennessee Music Educators Association Exhibit Chair in 1975-76 and 1981. In 1990, Dr. Tipps was asked to chair all auditions and help develop the Tennessee Governor’s School for music. He has been a member of the NBA, ETSBOA, MTSBOA, VBA, TMEA, CBDNA, TBA, and Phi Beta Mu. He continued his leadership acting as the conductor of the East Tennessee Community Concert Band from 1996-2001. During his tenure at the University of Tennessee, his influence and impact was felt in many of the most outstanding band programs in this state. He is and will always be a trusted and valued friend to music education.